View Article on Coach Turco "Coach Turco Talks Passion"
Tom has coached the Barnstable Red Raiders to 18 Division 1 State Championships as well as 23 South Sectional Championships. 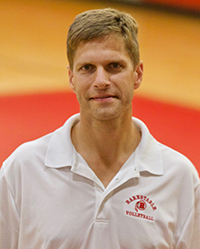 His teams from 2003 to 2007 set an MIAA volleyball record with 110 consecutive match victories, previously held by Case High School. 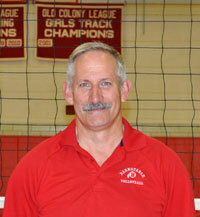 Since 1995 the Barnstable girls' volleyball team has amassed a win loss record of 540-26 including 10 undefeated seasons. He has had the honor of coaching 2 MaxPreps All American, 7 Prepvolleyball.com All Americans, 1 AVCA All American, 8 Massachusetts Gatorade Players of the Year as well as 66 Boston Globe/Herald All Scholastics. 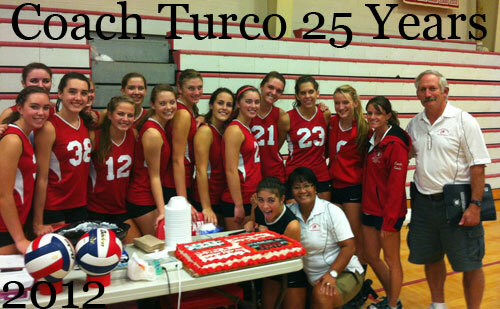 Coach Turco was selected as the 2008 AVCA National Coach of the Year and was awarded the NHSCA National Volleyball Coach of the Year in 2012. 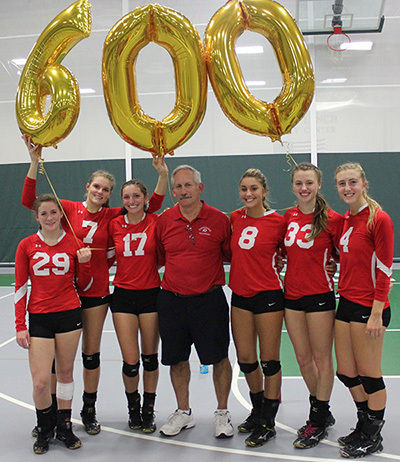 Along with being a five-time selection as the Boston Globe Division One Volleyball Coach of the Year, Tom was also inducted into the Massachusetts Volleyball Coaches Hall of Fame in 2004. His 2012, 2013, 2014, 2015, 2016, and 2017 teams were recognized for their academic excellence by receiving the AVCA Team Academic Award for maintaining a 3.30 team GPA. 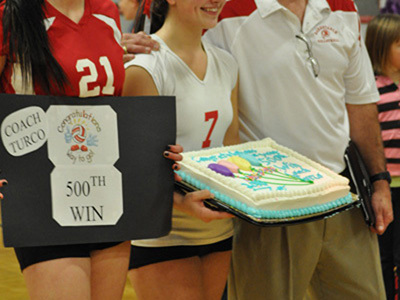 Make that 600 wins in girls volleyball for Barnstable coach Tom Turco. 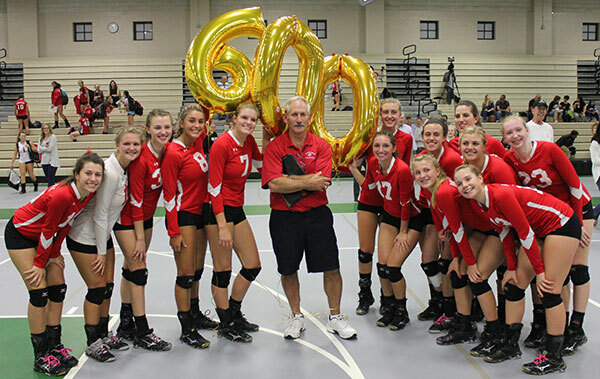 He earned his 600th career victory as coach of the Barnstable girls volleyball team Wednesday night as the Red Raiders defeated Dartmouth 3-0 in South Dartmouth. Barnstable's 25-19, 25-22, 25-10 win also gave the Red Raiders their 16th Old Colony League championship under Turco, who is in his 28th year as the girls coach. In the season-opener this season, Turco recorded his 700th career overall win for both the Barnstable girls and boys teams combined. 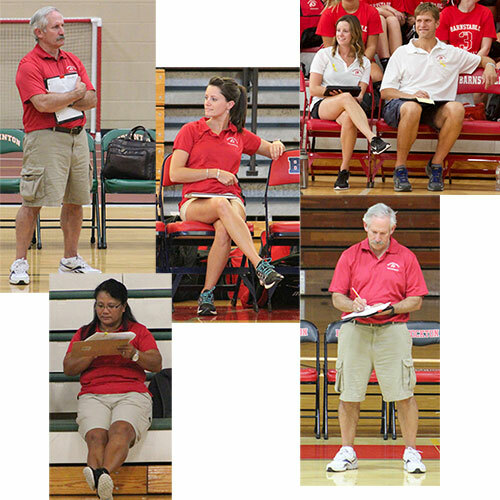 He won 110 matches in his eight-year stint as the Red Raiders boys head coach. 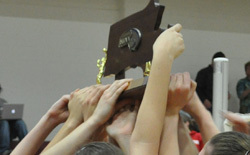 The Barnstable (11-1) girls team is bidding for its 17th Division 1 State title this season. "700 Wins Began in 1988 for Turco"
Marylou enters her 15th season as both the Junior Varsity coach and the assistant coach at the varsity level. She has been an important part of the program, helping the team win 11 State Championships since 2004. Her Junior Varsity teams are very competitive and she has prepared several athletes to compete at the varsity level. Marylou is self-employed as a personal fitness trainer and coordinates the 12 and Under program for Cape Cod Juniors. 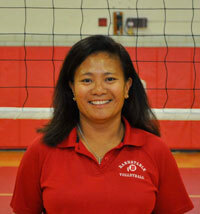 Jessi is in her 8th year as the Freshman volleyball coach at Barnstable. She comes to the program as a former player (BHS graduate of 2007). Jessi played volleyball for four years at Framingham State University. She is an assistant to the Varsity team and has been instrumental as the statistician and for coordinating the AVCA Team Academic Award process. 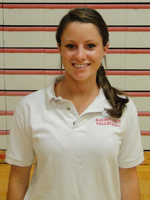 Jessi has helped guide Barnstable to 5 State Championships. Craig enters his 3rd season as the assistant coach at the Varsity level. He was the Junior Varsity coach and assistant coach back in 2000, helping the team win the State Championship that year. He has also been a Cape Cod Juniors coach for 8 years, helping players from around Cape Cod prepare for their own Varsity level. Craig played competitive club volleyball in high school and assisted the coach for the Women's Volleyball team at Green Mountain College.